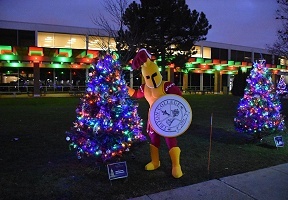 Mark your calendars for Triton College’s annual #Deckthemounds Holiday Festival of Trees, Thursday, Dec. 6 from 5-7 p.m. #Deckthemounds has become one the most anticipated events of the holiday season, as Triton’s campus sparkles with beautifully lit and decorated holiday trees adorning our outdoor mounds. Hot chocolate and cookies, holiday movies, a photo booth and other festive activities have brought families from throughout the area back year after year. The event is free to attend and we invite all members of our communities to make #Deckthemounds a holiday tradition. All proceeds from sponsorships will support student scholarships through the Triton College Foundation. For more information, call (708) 456-0300, Ext. 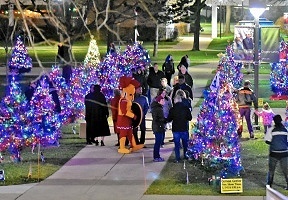 3165/3172, or visit http://www.triton.edu/tritontree/.